BUCYRUS ― Suicide is an issue that many people may not want to think about or discuss but it is also an issue that affects all of Crawford County, according to recent data. During the past decade, 59 Crawford County residents lost their lives to suicide. Kate Siefert, health commissioner of Crawford County Public Health, joined forces with Brad DeCamp, executive director of the Crawford-Marion Alcohol, Drug and Mental Health Board, to create a report, “Suicide in Crawford County: An Overview of Suicide Trends,” 2007 to 2017. According to the report, there were 1,734 suicide completions throughout Ohio in 2017, which averages to approximately 4.75 completed suicides per day. “This makes the issue of suicide and the effects it has on the families and friends of people who die from suicide a serious public health issue,” Siefert said. 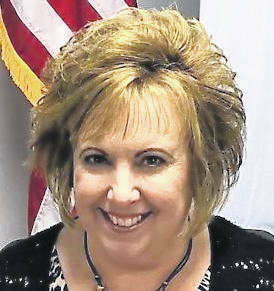 Siefert said she worked with the Ohio Department of Health to compile the statistics for Crawford County. Of the 59 deaths attributed to suicide in Crawford County during the past 10 years, 50 were male and nine were females. While there were five deaths in 2017 from suicide, there were nine deaths in 2016, the most in any one-year period of those included in the report. Of the 59 deaths, 44 of the people resided in the Bucyrus and Galion zip codes. Siefert said of the 59 suicides, the most common manner of death was gunshot wounds (34) while hanging was second (11). Intentional substance abuse was the third most common manner of death. “This is different than unintentional overdoses, which are not considered suicide,” Siefert said. Siefert said she was surprised at the average age of people that have lost their lives to suicide in the past decade. “Many times, we think of young people committing or attempting suicide, but the average age is 44½,” she said. Of the 59 incidents of suicide completion, 20 were factory workers. There is help available for those considering suicide. Call the National Suicide Prevention Lifeline at 1-800-273-8255 or TALK to 741741 for support. There is no cost. DeCamp said we need to create an environment in which the stigma of mental health issues and suicide is removed. According to the report, increased awareness and understanding work to strengthen suicide prevention practices that can be successfully planned and implemented in our community. He has secured the rights to the movie, “Suicide: The Ripple Effect,” which chronicles the suicide attempt of Kevin Hines, who jumped from the Golden Gate Bridge. “It is an excellent movie that we hope will get people talking about this issue,” DeCamp said. 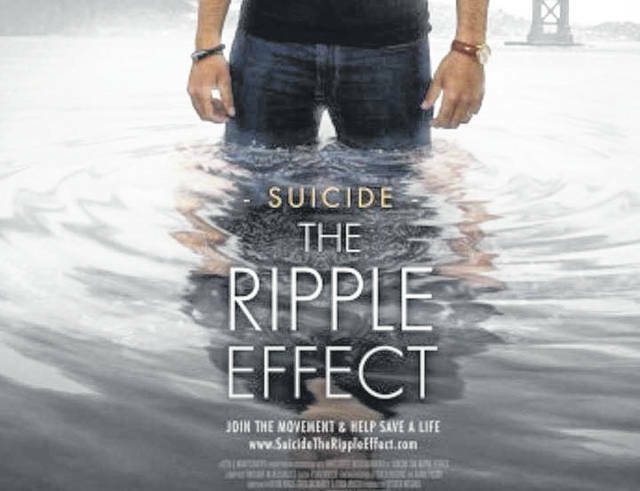 “Suicide, the Ripple Effect” is not only a film, but a movement for hope and healing. The film chronicles the story of Hines, who at the age of 19, attempted to take his life by jumping from the Golden Gate Bridge in San Francisco. Since then, Hines has been on a mission to use his story to help others stay alive and find recovery. That movie was shown Wednesday in Bucyrus. There are plans to to show the film in Galion, Crestline and New Washington. A question-and-answer session will follow each showing. For more information about suicide prevention and to view the report, visit the Crawford County Public Health website. They talk about wanting to die; Talking about feeling empty, hopeless, or having no reason to live; Planning ways to die, (online, stockpiling pills, buying guns, ropes, etc. ); Talking about great guilt or shame; Talking about feeling trapped; Feeling unbearable pain, both physical or emotional; Talking about being a burden to others; Using alcohol or drugs more often; Acting anxious or agitated; Withdrawing from family and friends; Changing eating and/or sleeping habits. Talking or thinking about death often; Extreme mood swings; risky behavior swings; Giving away important possessions.